Here we are. 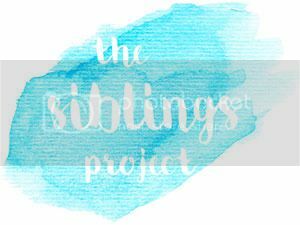 Another month is gone which means it’s time for another siblings project post. For the first time since our baby girl was born, we were able to take this month’s pictures outside. Yay, summer time seems to finally be on its way. I am very much looking forward to spending more time in the garden. I find it hard to believe that we are in May already. Please time, slow down!! Although I cannot wait for the summer holidays, I find it scary that my big girl will start year 1 afterwards. It feels like only yesterday she started reception. Our baby girl had her 3rd lot of immunisations this month. Luckily she coped with them really well, but I am so glad we are done with needles for some time yet. The girl’s bond seems to grow stronger by the day. Both are equally in awe of one another. Our recent purchase of a bath support for our baby girl means that our daughters can now enjoy bath time together which they both love. We were afraid of jealousy issues, as for nearly five years, our older girl was an only child and completely used to having Mummy and Daddy’s undivided attention. Luckily these fears were unnecessary, she copes with being a big sister so well and is (a good 90% of the time) so kind, caring, understanding and protective towards her little sibling. Just today we were out meeting some friends at the playground. The girls were jumping on a trampoline and I was sitting on the side with our baby girl. It made me so proud when our older daughter kept reminding her friends to be careful around her little sister. I have no idea why our littlest one pulls a grumpy face on each picture, but as soon as she only as much as spies my phone or my camera, her happy smiley face is being replaced by a frown. Not quite the blogger child just yet :-). I love these photos Heidi. Such beautiful girls (inside and out).